In 2018, six graduates from various schools/departments in the UF Herbert Wertheim College of Engineering, who now occupy faculty positions at other universities, received National Science Foundation (NSF) Early Career Awards. These awards, usually in the amount of $500,000, are given “in support of early-career faculty who have the potential to serve as academic role models in research and education and to lead advances in the mission of their department or organization,” according to the NSF. 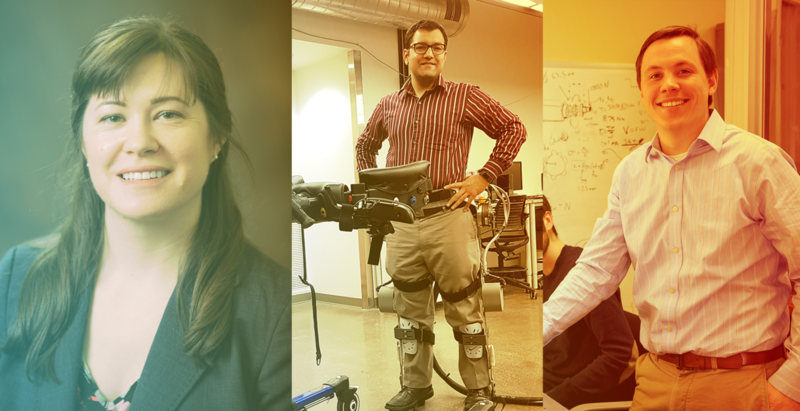 Three of the NSF Early Career Award recipients from the Department of Mechanical and Aerospace Engineering talk about what their time at UF meant to them and to their research. Alison Dunn received her B.S., M.S. and Ph.D. degrees in Mechanical Engineering from the UF Herbert Wertheim College of Engineering’s Department of Mechanical & Aerospace Engineering. 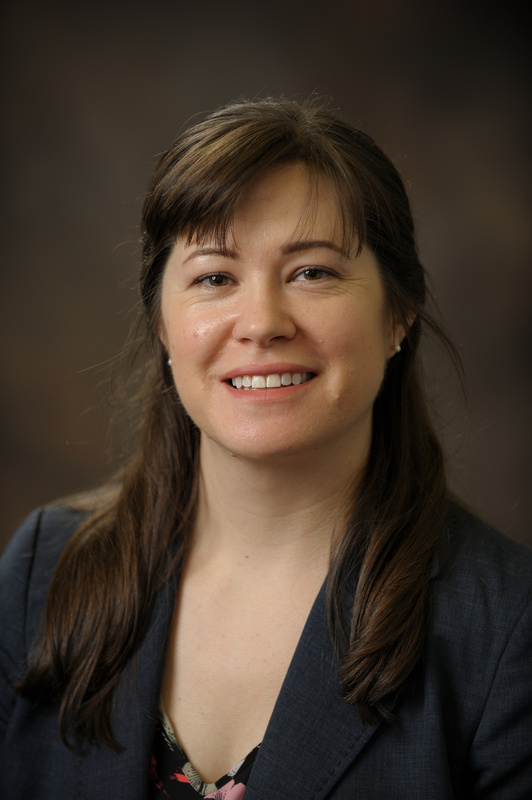 After obtaining her Ph.D. in 2013 and doing a year of post-doctoral work with Dr. W. Gregory Sawyer, Ebaugh Professor, Department of Mechanical Engineering, Dr. Dunn accepted a position as Assistant Professor at the University of Illinois at Urbana-Champaign in the Department of Mechanical Science & Engineering. Dunn interviewed widely but took the position at UIUC because they had the greatest depth of research in the area of interest to her and because, similar to UF, there was a healthy collaborative relationship between departments. “The values exhibited by my mentors Greg Sawyer, Tommy Angelini, David Hahn and Scott Perry and their attitudes towards research guided my search for a similar institution,” Dunn said. Working with industry partners during her graduate research, Dunn learned how to communicate about the facets of the project that would benefit them the most. This experience helped her with writing proposals and led to her successful proposal for the NSF Early Career Award. Today, Dunn is furthering her research in the area of tribology (surface interactions between materials). She has moved in a slightly different direction from Sawyer, her primary advisor, doing similar work in areas he has not pursued. One of her goals is to provide design rules for soft slippery surfaces such as those found in polymers, especially hydrogels. Her results will contribute to friction behavior in the design of biomedical products. Dunn continues to benefit from having earned her Ph.D. at UF not only from all the connections she has been able to make, but because Dr. Sawyer has started the soft matter symposium, so she can bring her students back to visit UF each year, showing them world-class research and keeping in touch with her roots. Nitin Sharma received his undergraduate degree in industrial engineering in India. He joined Maruti-Suzuki (majority-owned by Suzuki Motor Corporation) for two years in India, where he worked with robotic assemblies. When Dr. Sharma was accepted as a Ph.D. student in Mechanical Engineering at UF, he was first interested in the work with robotic cars that he had seen at UF; but, when he began looking for funding for his Ph.D. research, his advisor, Dr. Warren Dixon, Ebaugh Professor at MAE, guided him to work in neuro-muscular stimulation. Dr. Dixon’s own NSF Early Career Award in 2006 was for the study of non-linear control of neuro-muscular stimulation. He encouraged Sharma to pursue this area of research also. Sharma quickly came to like this new area as it offered many opportunities for exploration and a new career track was launched. After completing his Ph.D. at UF in 2010, Sharma did post-doctoral work at the Center of Neuroscience and Dept. of Physiology at the University of Alberta (Canada). He later chose the University of Pittsburgh where he is now an Associate Professor in Mechanical Engineering & Materials Science [Biomedical Department] because it has a good medical school and rehabilitation centers. 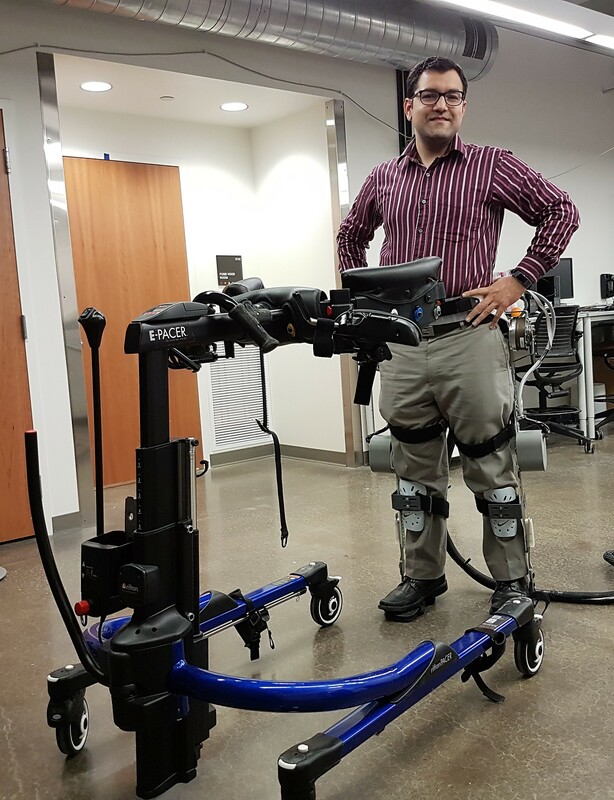 The position is a natural fit for his current research, which has expanded from neuro-muscular stimulation research during his UF days to solving even more complex problems, including exoskeletons, at the University of Pittsburgh. This turned out to be an excellent research path when it came to earning his NSF Early CAREER Award, for the proposal calls for a new study that is beyond a researcher’s original Ph.D. research area. Brandon Krick is also a Triple Gator – having attended the University of Florida for his B.S., M.S., and Ph.D. in Mechanical Engineering, graduating in 2012. After a year of post-doctoral research also at UF, he accepted a position as Assistant Professor in the Department of Mechanical Engineering & Mechanics at Lehigh University. “While working at UF, I recognized that your ability to make an impact in the modern research environment is largely shaped by your collaborative network. Lehigh has the perfect intersection of a great faculty composition, great students (who are highly involved in the research experiments) and great materials characterization and surface analysis capabilities,” Dr. Krick said. 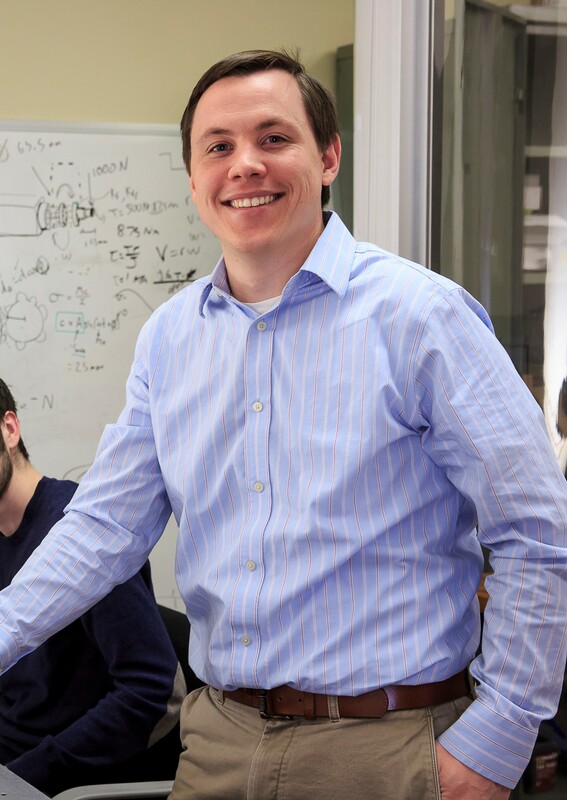 According to his Lehigh faculty profile, Krick’s research interests are at the intersection of mechanical engineering, materials science, and surface physics. Krick studies the fundamental origins of friction, wear, materials deformation and adhesion on complex surfaces ranging from cells to nanocomposites in environments extending from space to thousands of feet under water. His research experience has been far-reaching – from performing materials experiments on the international space station, to evaluating wear of dinosaur dental fossils (published in Science magazine), developing and patenting ultra-low wear polymer nanocomposites, to collaborating internationally on soft matter. A large part of Krick’s interdisciplinary research experience at UF involved performing friction measurements in low earth orbit, outside the international space station. Preliminary results from these experiments and continued experiments performed at Lehigh led to the research objectives in his NSF Early Career Award proposal. His research will focus on fundamental studies of the friction and wear processes of dry, non-oil-based, solid lubricant materials that are critical for use in harsh environments, including space.